Steam is a client application which is offering demo/trials of multiplayer video games, online chat, in-game voice talk and also make friendship with gamers from worldwide. Valve corporation has just developed this smart application designed especially for gamers. 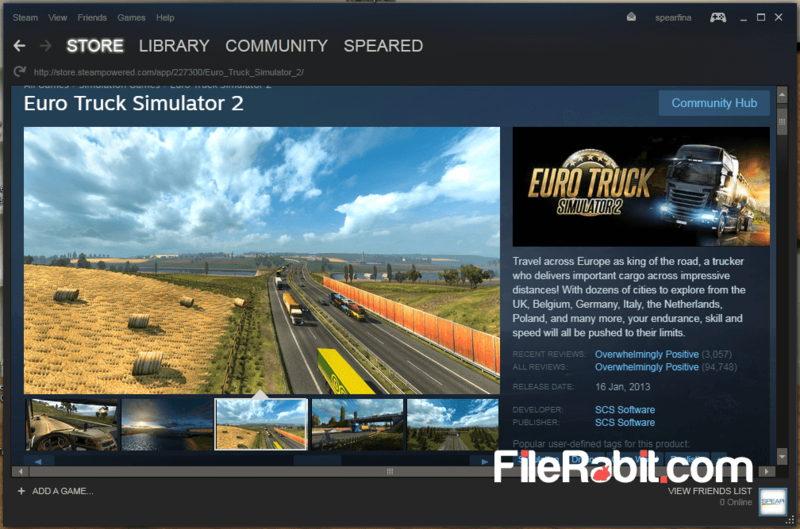 Every professional gamer has steam account where bundle of features are waiting for you. Search games by name, developer, price comparison, category (e.g action / racing / shooting), free-to-play, download demos and more. You will find screenshot, gameplay videos, price, features, description, developer and publisher information as well. Steam is also a multi game store where you can start your cart with adding favorite games, get coupon codes, secure payment and shopping as well. 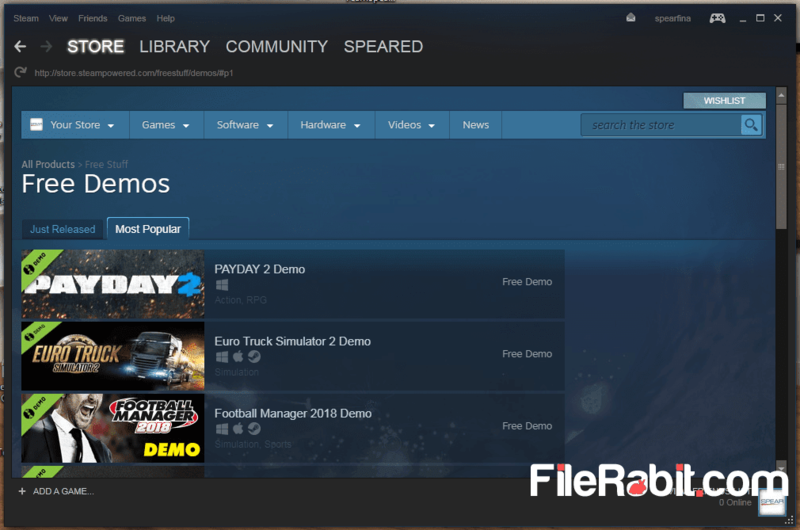 It allow its users to download demo of games without paying any fee directly to computer. 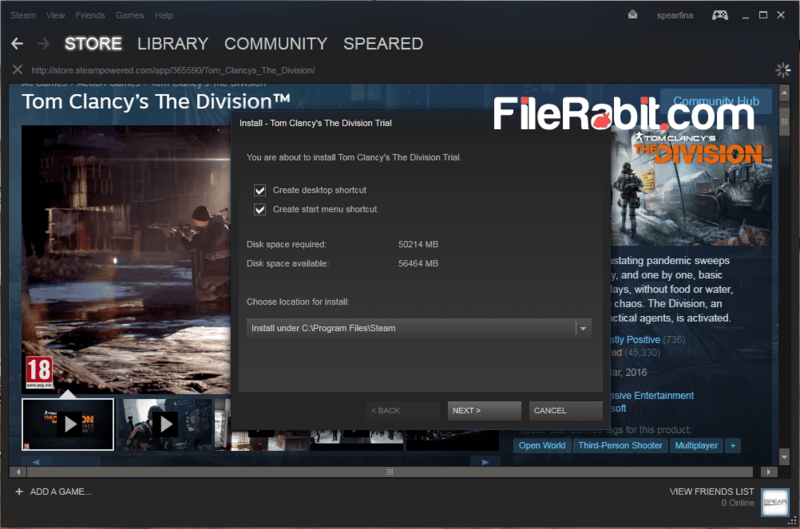 However, free to play games can be played freely right on steam client application. The app was previously developed for Windows, Mac and Linux but later time, it can be downloaded on Apple, Windows Phone and Android play stores. Steam has millions of registered accounts where its the largest online gaming store worldwide. Recently, Steam application has updated with software distribution so now you can find and download freeware, shareware and premium licensed based software. Steam is playing key role on high sales of different products from there developers and publishers. The game can be downloaded through file transfer protocol. It has support for different local currencies as well as it has started sales in Bitcoin, BitPay and WebMoney payment methods. Social networking service has been introduced to find friends on community, start chatting with them and also join groups of each other. Steam let the users to find target game alongwith trailors, gameplay, screenshots, description, price and more freely. The community forum is their to help beginners so ask anything related to steam in forum section. The secure buying of games will boost the ratings of steam include the boost of sales of various publishers. The lovers of counter strike can play this game through Steam without paying any fees. Valve anti cheat (VAC) system was designed especially to stop cheating and cheat codes system during the gameplay. The most popular game developers / publishers that were hosting their video games on steam are Activision, uPlay, Eidos Interactive, Capcom, id software, Ubisoft and more. Furthermore, the user interface is black screen background with white text color that is friendly to user eyes. The steam was attacked many times from the hacking and attacking attempts. Thousands of Valve account has been hacked in last few years. But at the end, they build strong defensive shield against attackers through SteamOS. Steam music is built in audio file player that was released for its community to play anything you want.